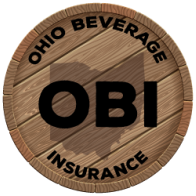 Your Ohio Beverage Insurance “experience” begins with a comprehensive risk assessment performed by our team of professionals. We help you avoid, mitigate, and manage the exposures that can threaten your business. When a solution calls for insurance, you need policies that go way beyond the normal property & liability forms provided by mainstream agents and insurance companies. Finally, by partnering with our parent company, Dostal & Kirk, we can provide you with a comprehensive line of executive benefits, group benefits, succession planning and retirement plan solutions.